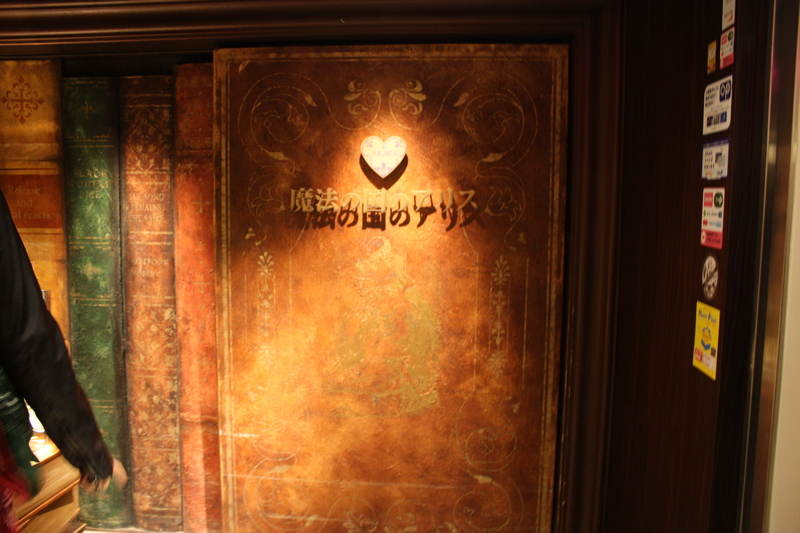 Alice In Wonderland Themed Restaurant – Shibuya, Tokyo. 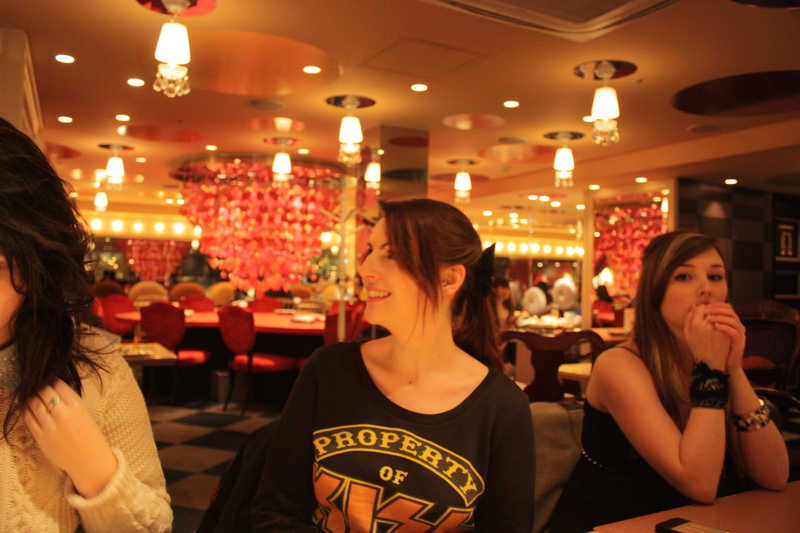 I thought that I would share a review on the Alice In Wonderland Themed Restaurant that we visited in Shibuya, Tokyo. It was amazing there! 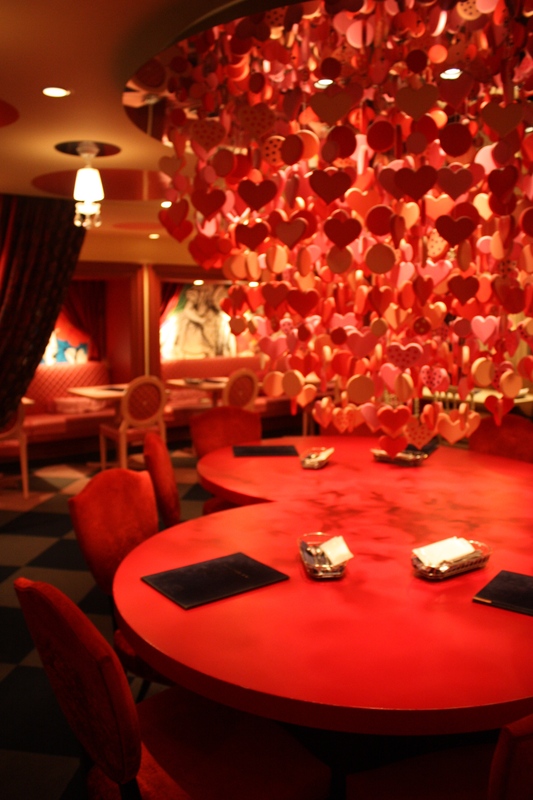 Before we went to Tokyo, we decided to look up the crazy themed restaurants that are around Tokyo. 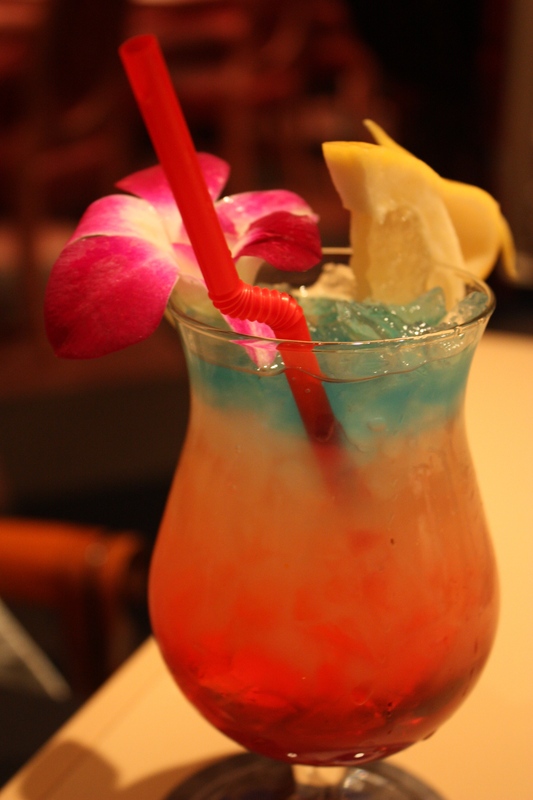 There were Alcatraz themed, prisons, Thunderbirds, Under The Sea, Vampires and even a Robot Restaurant! We decided to go to the Alice In Wonderland one, as it seemed the most impressive – and I must say, it certainly lived up to it’s hype online! The food was amazing, not that pricey but definitely brilliant quality and dedication on a plate! 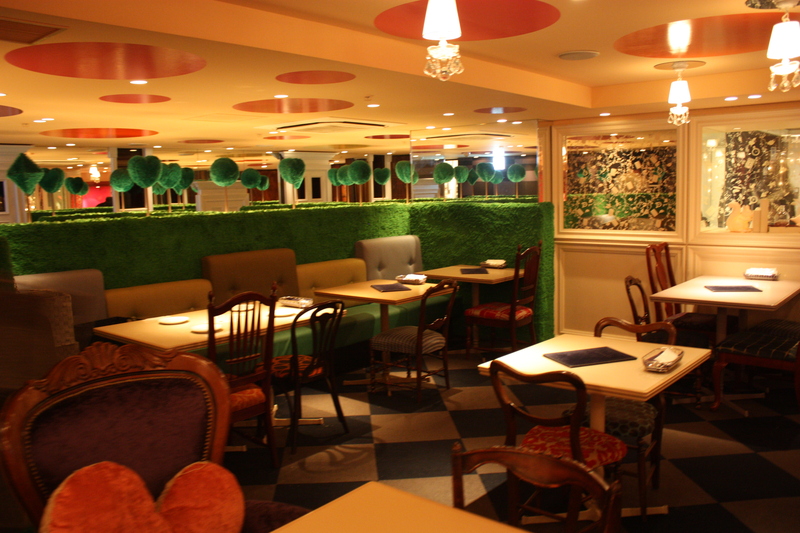 All of the dishes and drinks on the menu were themed around Alice In Wonderland, not only by name but by the little touches in appearance. Not forgetting to mention the menu.. 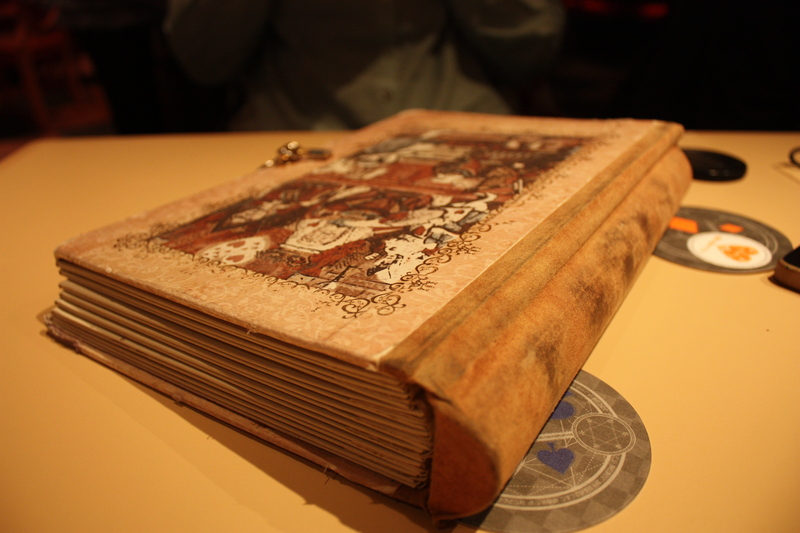 It was presented as a large storybook which was illustrated on each page, with the listings! It was gorgeous! 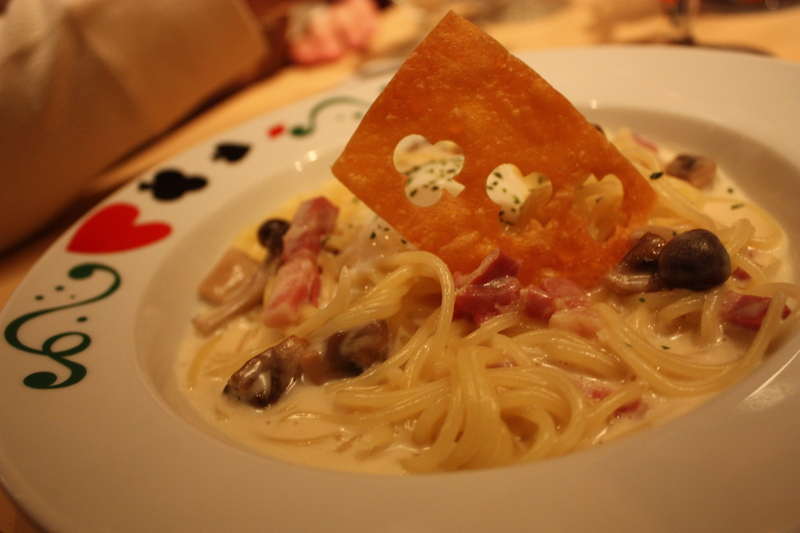 I decided to get a cabonara pasta (of some sorts, can’t really remember what it was) – it was gorgeous, but they also created a playing card out of the ‘cracker’, or whatever it was! It was such an adorable touch! 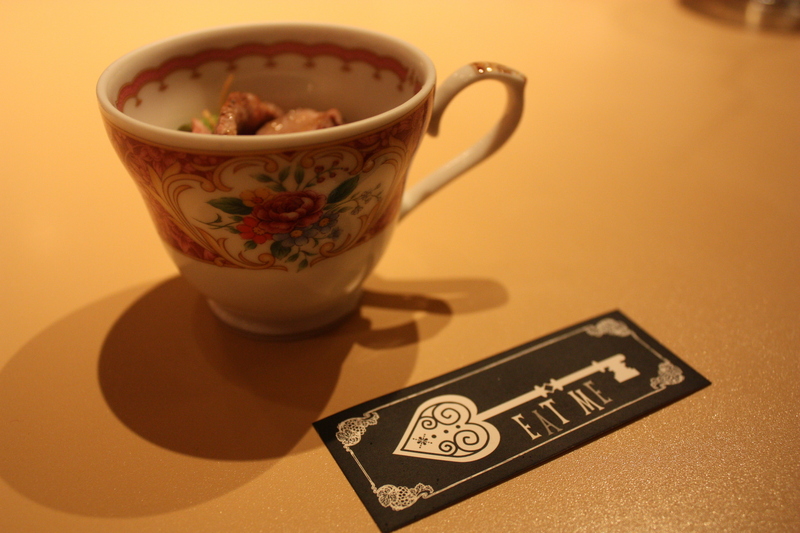 They even brought us a small starter in a teacup, that had a card which said ‘Eat Me’ on it! Desert was definitely the highlight of the night! I ordered something along the lines of the caterpillar – it was some sort of a swiss roll which was green to form the caterpillars body. He then had two blueberries for eyes, cream for the head and two chocolate twirl tube things for antennas! He also came with a miniature top hat, which was the most amazing chocolate mousse that I have ever tasted, with chocolate formed as a hat on the top! 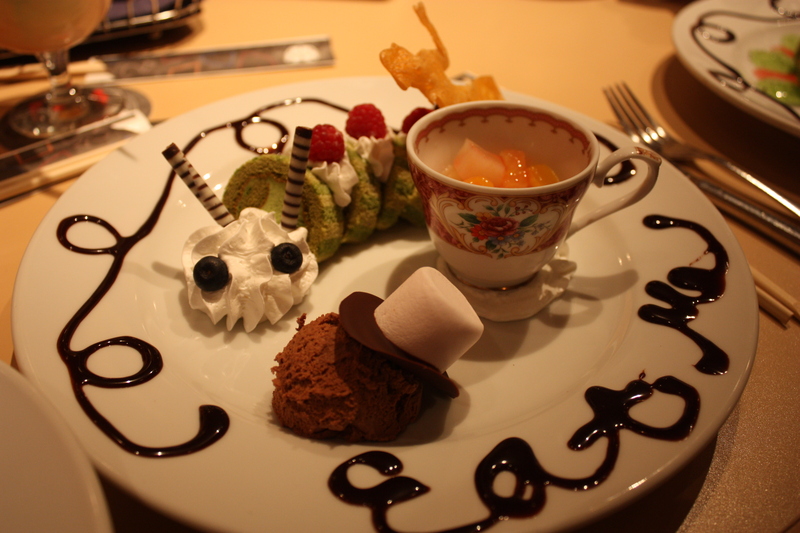 To top that off even more, they wrote ‘Eat Me’ on the plate in chocolate sauce which was extremely adorable! 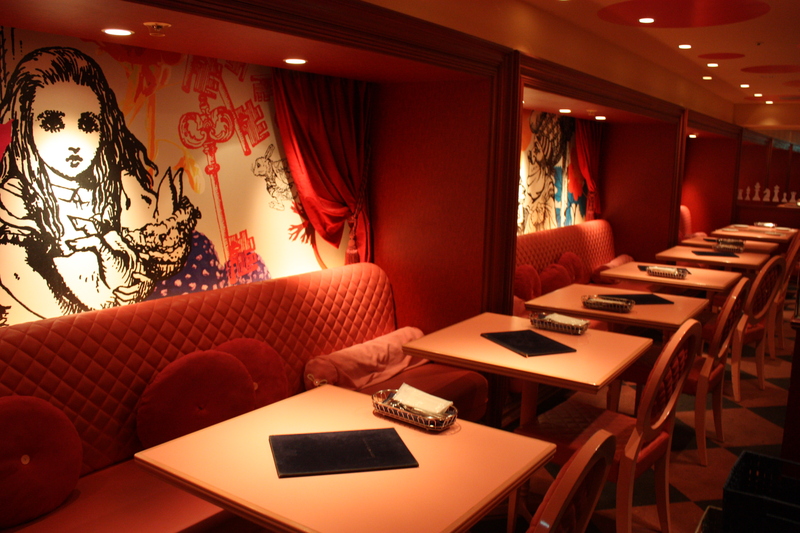 If anyone is going to Tokyo, I would very highly recommend this restaurant! Their uniforms were ridiculously cute too – I am sold, I totally want one! 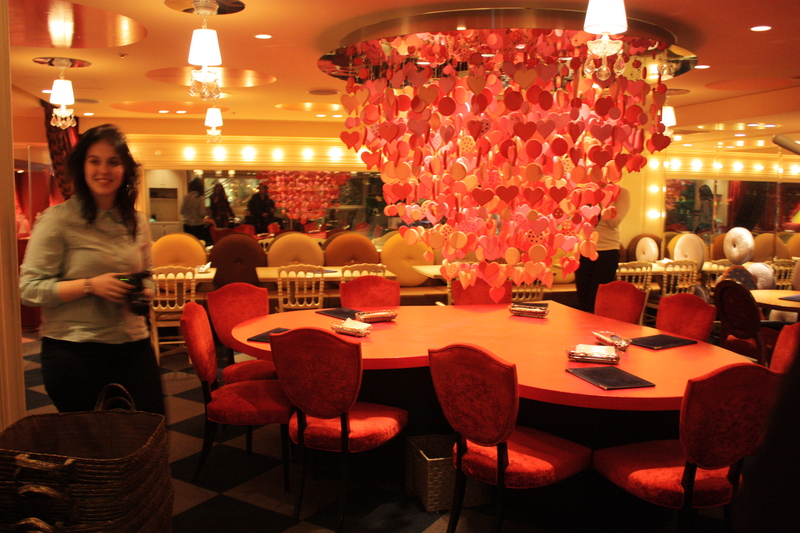 We all thoroughly enjoyed it here and would love to go back to this amazing restaurant! Where have I been?! – TOKYO! I would love to dine there! If I ever visit Tokyo I have to keep this in mind! It looks so wonderful, great idea for a restaurant and it looks like they really nailed it with the theme. Erm, I can’t remember! It’s either Shibuya or shinjuku haha! The one with the massive train station!